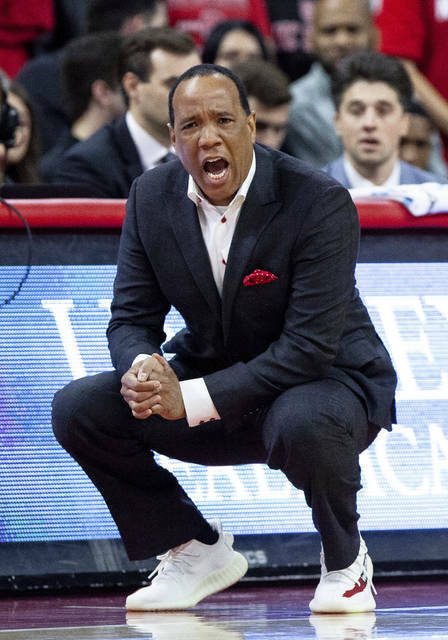 RALEIGH, N.C. (AP) — North Carolina State coach Kevin Keatts didn’t have much time to enjoy the No. 23 Wolfpack’s buzzer-beating weekend win — not with what waits in the days ahead. N.C. State hosts third-ranked Virginia on Tuesday night, then welcomes No. 12 Virginia Tech on Saturday to headline the week ahead in the AP Top 25 schedule. That is part of a three-game stretch against teams ranked 12th or higher in this week’s AP poll , ending with next week’s trip to ninth-ranked rival North Carolina. That prompted Keatts to quip Monday that he made a mistake by glancing at the schedule on his desk. 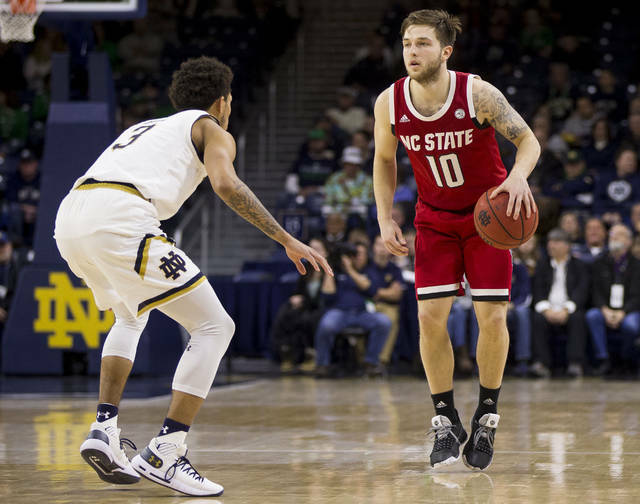 N.C. State (16-4, 4-3 Atlantic Coast Conference) is coming off a 69-67 win against Clemson, secured when the Wolfpack rallied from six down in the final 26.5 seconds and won on Braxton Beverly’s final-play 3-pointer. The challenge Tuesday will be to use its pressure to harass Virginia out of its methodical pace and create turnovers, though the Cavaliers rank No. 1 nationally in KenPom’s turnover percentage rate (losing the ball on just 13.5 percent of their possessions). From there, it’s a Virginia Tech team that lacks depth but entered the week ranked sixth in KenPom’s adjusted offensive efficiency (120.3 points per 100 possessions) and third nationally in 3-point percentage (.424). The last time Louisville played North Carolina, the Cardinals handed the Tar Heels their worst home loss under Roy Williams. Three weeks later, they’ll play the rematch Saturday. The ninth-ranked Tar Heels (15-4, 5-1 ACC) are emerging from extended break after last week’s lopsided win against Virginia Tech. They visit Georgia Tech on Tuesday before traveling to play the 15th-ranked Cardinals (15-5, 6-1), who have won five straight entering Wednesday’s trip to Wake Forest and made the biggest jump (eight spots) of any team in Monday’s latest AP Top 25 poll. While Saturday offers three matchups of ranked teams, only one — No. 16 Texas Tech at No. 11 Kansas — comes outside the ACC. Texas Tech, which defeated TCU 84-65 on Monday night, won at Kansas’ Allen Fieldhouse last January for its first win there in 18 tries. But the Jayhawks won the rematch in Lubbock later that year on the way to yet another Big 12 regular-season title (14 straight years with at least a share of the crown). Kansas plays at Texas on Tuesday. Wisconsin started the year unranked, climbed into the AP Top 25 for seven weeks and peaked at No. 12, then stumbled to fall back out of the poll. Back in at No. 24, can the Badgers have another multi-week stay in the rankings? 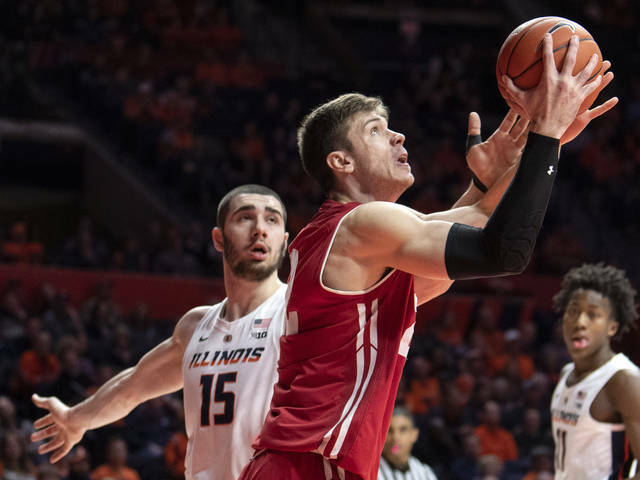 Wisconsin (14-6, 6-3 Big Ten) travels to Nebraska — which has popped in and of the poll this season, too — on Tuesday before hosting No. 21 Maryland on Friday night. Wisconsin enters the week with three straight wins, including one against No. 5 Michigan for the Wolverines’ only loss, and has an all-America candidate in forward Ethan Happ (18.9 points, 10.4 rebounds, 5.2 assists per game). The watch list of top vote-getters just outside the poll is filled with teams that have been ranked this season, and it starts with an Auburn team that spent six weeks inside the top 10 earlier this season. The Tigers (13-6, 2-4 Southeastern Conference) fell out from No. 16 in Monday’s poll and enter Wednesday’s home game against Missouri with a three-game losing streak. Cincinnati (18-3, 7-1 American Athletic Conference) has won six straight games entering Saturday’s home game against SMU in pursuit of its first poll appearance this season. And Washington, ranked No. 25 in the preseason, has home games against USC and UCLA as the Huskies (16-4, 7-0 Pac-12) look to stay unbeaten in league play.